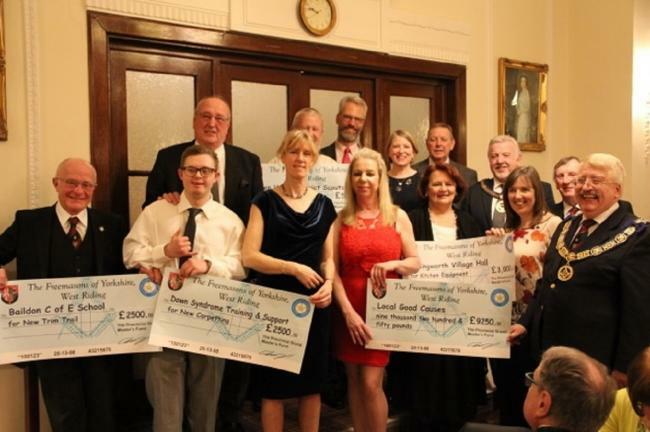 Eighty five Freemasons, wives and guests enjoyed a presentation evening at Hoyle Court, in Baildon, where more than £10,000 was presented to a number of organisations. Provincial Grand Master David Pratt delivered a keynote speech and challenged Yorkshire Masons to take on yet more charitable work within the community. He said: “While fully recognising the impressive awards that we have seen this evening, I am asking Masons in the Province of West Riding to do even more. “I ask myself why is it that we still have hungry people in the region and see food banks being operated to prevent them from starving?